Mandalas have long been recognized as important tools in Eastern spiritual traditions for focusing meditation. Though various Western traditions possess such contemplative tools, they have not often not been recognized as such, except by those deeply schooled in Western esotericism. Adam McLean remedies this situation by presenting, and analyzing in great depth, over forty beautiful engravings, reproduced as full-page illustrations, from alchemical, kabbalistic, magical, Rosicrucian and Hermetic sources. This is the first book exclusively dedicated to the mandala tradition in the West and is an extremely valuable sourcework on account of the illustrations and commentaries. 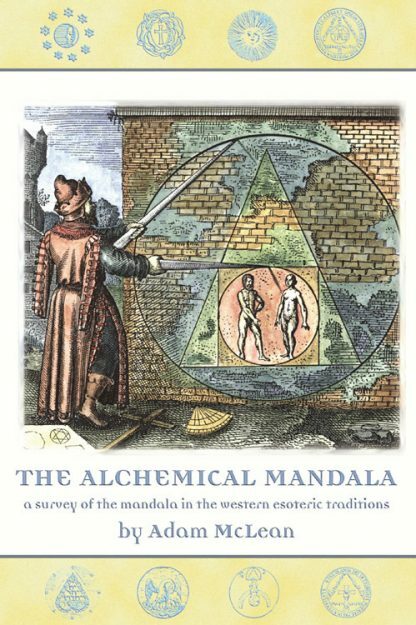 Not only is The Alchemical Mandala a comprehensive guide on how to "read" the cosmological and spiritual symbolism of alchemical engravings, it also outlines three ways for working practically with these mandalas in meditation.